So far this year, four women have been killed every day in Brazil. That’s almost 150 women just in the last month and a half. The Inter-American Commission on Human Rights (IACHR) called the rate “alarming”, and it is alarming to say the least. The IACHR is the human rights branch of the Organization of American States, headquartered in Washington, D.C. and made up of 35 member-states. The organization called upon Brazil to do more to fight femicide, the killing of a woman because of her gender. “The Commission calls on the Brazilian State to implement comprehensive strategies to prevent these acts, fulfill its obligation to investigate, prosecute and punish those responsible, as well as to offer protection and comprehensive reparation to all victims,” the IACHR said in a statement. Fifteen Latin American countries have passed laws against femicide recently, including Brazil. In 2015, Brazil passed a law legally defining femicide and introducing sentences of up to 30 years for those found guilty of the crime. Despite these marks of progress, the region has the highest rates of femicide in the world, according to the United Nations. The IACHR president, Margarette May, called Brazil’s law a crucial step toward bringing more attention to the issue of femicide. The women in these cases are frequently killed by current or former partners with a history of domestic violence and are often shot and killed in their own homes. With only 74 domestic violence shelters in the whole country, these women often have nowhere else to go, leaving them particularly vulnerable to abusive partners. 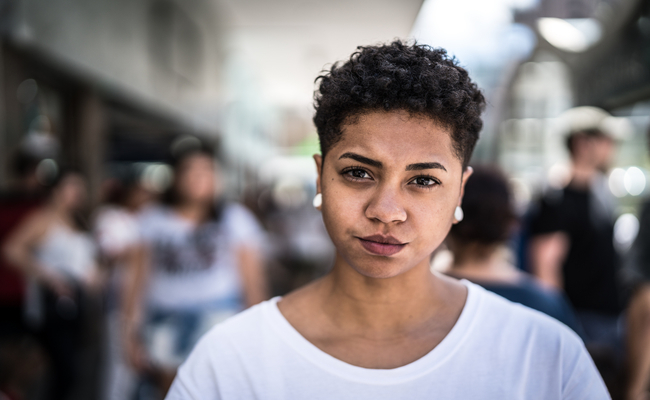 Black, indigenous and LGBT women are most at risk of being killed. Brazil’s recently-elected far-right president, Jair Bolsonaro, is well-known for his sexist views and comments, which sparked outcry in Brazil and protests demanding the people vote for literally anyone but him. Bolsonaro once told a congresswoman she wasn’t attractive enough to be raped, and said he would not pay a woman the same salary as a man because she could get pregnant. It’s unsurprising, then, that the sexist views of everyday Brazilian men might reflect the sexist views of the country’s leader, a phenomenon Americans know all too well. FEMALES ARE SECOND CLASS HUMANS WITH NO, ZIP, HUMAN RIGHTS AT ALL. WHAT WASTED LIVES MANY HAVE. SO SORRY. Shocking figures, especially from a country with such a long civilisation. I regret the fact that I was born and lstill live in Brazil!! I don't like this country! In fact I'm ashamed of being brazilian!!!!!!!!!!!!!!!!!!!!!!!!!!!!!!!!!!!!!!! Civilization has a long way to go in this world.